Carters Rentals would like to wish all our Landlords, Tenants and Suppliers a very Merry Christmas and a prosperous New Year! 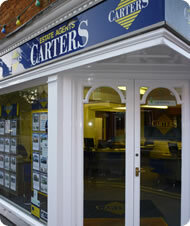 Welcome to Carters Rentals the leading Milton Keynes letting agents and to our website designed with you in mind. If you are looking for a specialist residential letting agent in Milton Keynes that covers the surrounding towns & villages you have come to the right place. Whether you are a tenant searching for your perfect home or you are a landlord thinking of letting your property, as a local trusted letting agents we're sure we have the right solution for you. We are a family owned & managed Milton Keynes letting agents business and have been serving the good people of Milton Keynes and the surrounding towns and villages for more than 20 years. In that time we have seen Milton Keynes develop into the exciting, vibrant city that it is today providing a fantastic environment in which to live, work and play. Carters Rentals letting agents has developed to reflect these changes and whilst we continue to offer good old fashioned customer service we use all the latest web, communications and database technology to ensure that our customers have the best experience possible. You can search for property to let, make use of our downloads and links section, register as a Tenant or Landlord and find out all sorts of useful information about properties and lettings around Milton Keynes, but please don't forget we always welcome your personal call.